Human being is speculative in nature from the beginning. In every "AGE" it has been reflected in its behaviour and in current era also it is reflected in every aspect. The stock market is a place of manipulation and speculation and we need to take advantage of this situation. This is exactly what we intend to do in this segment. I want to Buy 1000 shares of Wipro Ltd. So, in futures segment, our ROI is more when compared to Cash Market. But one needs to understand that risk is also involved as this position is a leveraged position. If HNIs wants to buy few lakhs of shares in the cash market, then they would create a selling pressure first to take the prices down and then start accumulating at the lower levels. 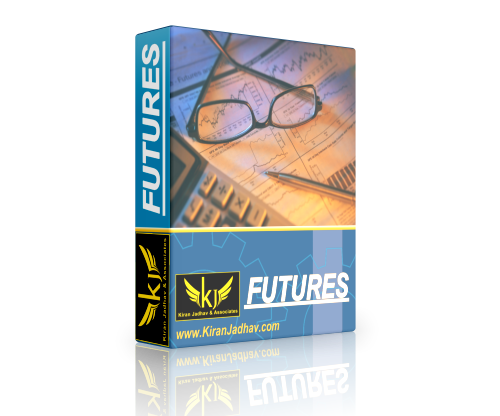 At the same time they will also BUY the stock futures as well as Options. Now this activity can be seen in “Derivative Data”. After they buy in the derivatives segment, they start buying heavily in the cash markets and start taking the prices to higher levels which in turn becomes a huge profit in the derivative segment. These opportunities can be identified by understanding the Derivative Data points. So we have developed a strategy for futures by using this derivative data which is generating decent returns per quarter. One needs to be very alert as the BUY or SELL signal can be generated at any point of time during market hours. We have been trading & testing this strategy and it has been observed that at least 3 months are required to deliver good returns. You will receive notification in our Whats app group. Gain / Loss in Rs.